Ice-pick scars are the slightly more severe form of scarring that you may come across. They are deep and narrow scars caused due to Acne and are usually considered to be worse than Boxcar and Rolling scars. These scars unlike boxcar and rolling scars are not broad and flat. They can have a deep impression on your face and are usually caused due to cystic acne and papules acne, which are the more severe kinds of acne. This kind of scars is known as atrophic scarring which leaves depressions in your skin, unlike hypertrophic scarring that’s usually above the skin level. Punch excision – This is when the scar is cut and taken out and the skin around it is closed from all sides. This is also considered to be one of the best methods however it doesn’t help with the discoloration of the skin that is usually seen around these scars. Laser Resurfacing – In this method a high-frequency laser beam is used to focus on the ice pick scar. There are two types of lasers that you can use for this treatment, these are classified as ablative lasers as well as nonablative lasers. The ablative lasers only work to remove the layers of the skin. Whereas the non-ablative lasers work by promoting collagen production. With this method, you could also reduce redness, acne, blisters, swelling, severe itching, changes in skin color. However, the downside of this is that your skin could get incredibly sensitive especially when it comes to UV rays. This could, in turn, cause more problems if you don’t take proper care. Microneedling – This is where fine needles are punctured in your skin to initiate peeling which will then cause the production of elastin and collagen in your skin. Microdermabrasion – Is where the upper layers of your skin and mechanically removed by means of a roller. It’s a kind of skin resurfacing treatment. Chemical peels as the name suggests is used to peel the top layers of the skin, thus making the scars seem more shallow and reducing their depth. All these treatments come with certain amount of risk factors although the main concern is the care you give for your skin post these treatments. As most of them increase the sensitivity of your skin, it’s important to take good care of your skin, especially when you’re going out in the sun. This could lead to pigmentation and acne all over again. It’s always best to physically cover your skin as well as apply a good sunscreen. What are Ice Pick scars? Ice pick scars are deep narrow scars caused due to acne. How can Ice Pick scars be removed? Ice pick scars need medical treatments, like punch grafting, punch excision, or laser treatment, if you want to completely get rid of them. Are Ice Pick scars associated with Acne? Yes, ice pick scars are mainly caused due to severe acne like cystic and papules which infect the pores. Are Ice Pick scars the same thing as Pimple scars? Ice pick scars are a type of acne scar. Do Ice Pick scars require surgery to be removed? There are surgical methods that can be used to remove these scars, however, there are other noninvasive methods as well, such as chemical peels and laser treatments, that are used to remove this scarring as well. Struggling with a Skin or Hair issue? 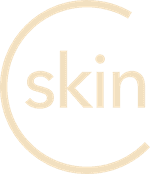 Download the CureSkin App by clicking here to get the best treatment. It’s easy, fast and affordable!